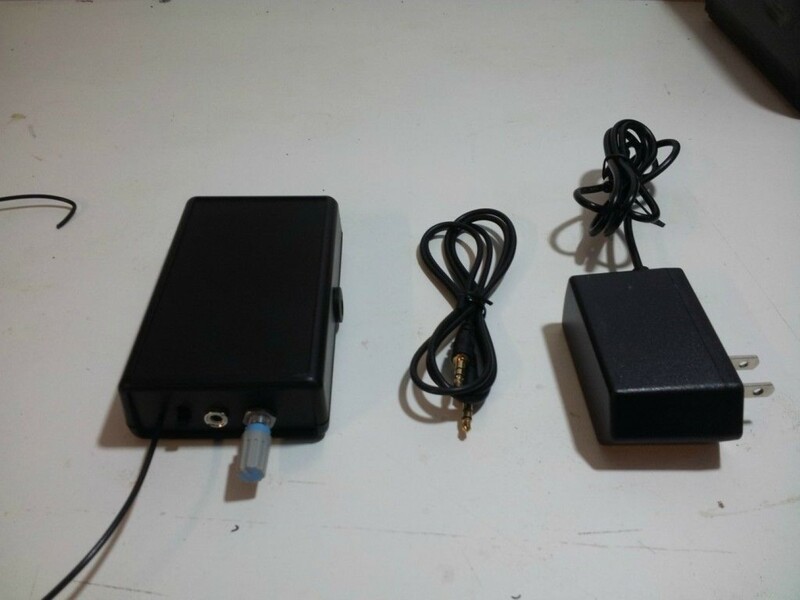 The Cuthbert FM to AM Converter is a deceptively simple, unassuming little black box measuring approximately 4 ¼” x 2 ½” x 1”. What it does is also very simple…yet it is to my knowledge one of the few if not only such devices you can buy today. So…what exactly does it do? The FM to AM Converter lets you listen to FM stations on an AM-only radio. 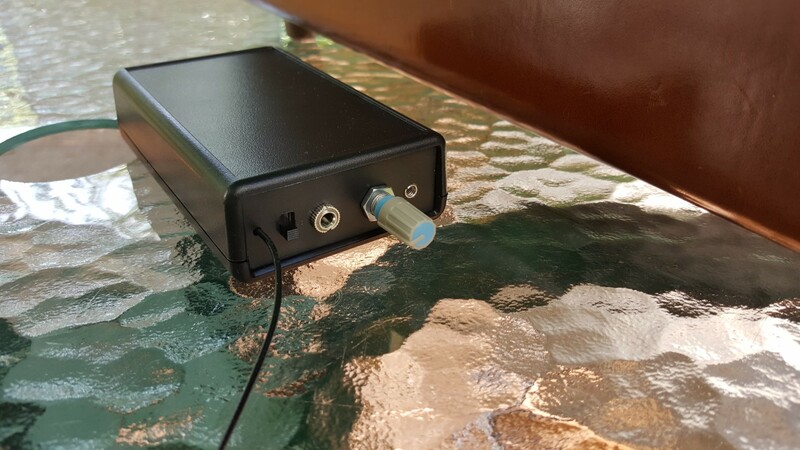 It consists of an FM tuner connected to a low power AM transmitter. Tune in your favorite FM station on the Converter and rebroadcast it as an AM signal to any nearby AM radio. Back in the late 1960’s and early 70’s, FM broadcasting was booming, and people who had AM only car radios could buy automotive FM to AM converters which installed under the dash. You could tune in an FM station and hear it through the AM car radio. They weren’t as good as Detroit’s OEM AM/FM radios but the ability to at least hear FM in the car was exciting. I had one in my first car, a 5 year-old ’64 Ford Galaxy 500. 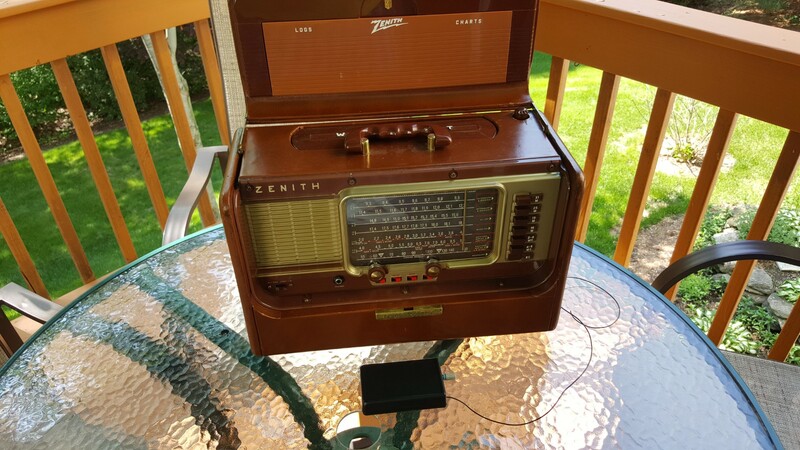 With the Cuthbert FM to AM Converter it is easy to wirelessly feed the audio from an FM station or an Auxiliary source into your vintage AM-only radios. This unit is designed to be highly portable so you can bring it along in the car or use it with your console or portable vintage AM radios. The possibilities are endless. The design and resulting operation are straight forward. Install a standard 9 Volt battery or use the supplied plug-in AC power supply. There is a three-position toggle switch which turns the unit on and off and also selects an aux input via a 1/8” jack which allows almost any audio device to be plugged in as a source instead of the FM tuner. 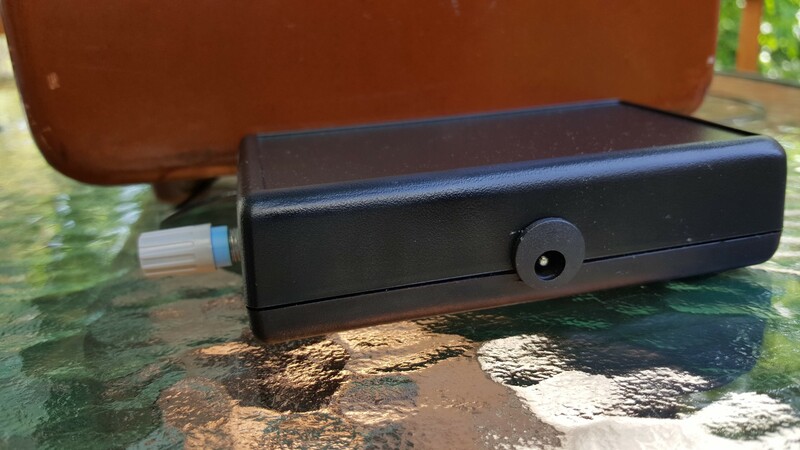 My converter arrived tuned to 1500 KHz on AM but it is easily returnable between 1400 – 1600 KHZ via a screw driver adjustment on the bottom, or Sean can set one up for you with a different range of frequencies. The only complication is that there is no FM tuning dial so you will have to find your station as best you can. If you will primarily use it on the same FM station this is an acceptable compromise to keep the size and cost down. However, Sean also sells a step-up version with a frequency readout for easier tuning and other added amenities. (See his eBay listings link at the bottom of this article). There is an FM antenna wire attached to aid FM reception, and generally the AM output signal is strong enough to allow you to just place the Converter anywhere near the receiver…the specs say 3 – 6 feet and that seemed pretty accurate I tried mine with a 1958 Zenith Trans-oceanic A600L and found that it worked well so I ended up hiding it out of sight behind the radio where it worked perfectly. 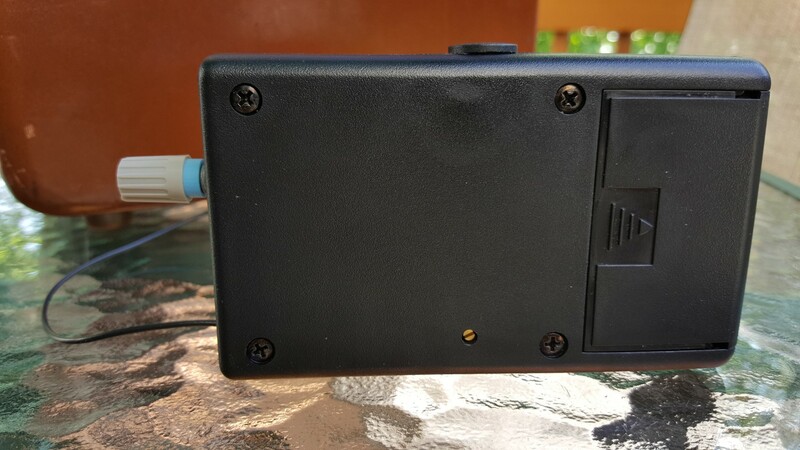 If you need more output power for use with a car radio or any situation where a stronger AM signal is needed there is an output port which can be used for this. It is simply a metallic sleeve where a wire can be stuffed in…nothing fancy but it gets the job done. With just a short wire the broadcast range is noticeably increased but I didn’t need that in my setup. (See Sean’s videos at the bottom of this article). To be fair I have to tell you that the first unit I received had a problem…the audio surged and pumped in an annoying way. I asked Sean about this and he promptly sent me a second unit which did not have the problem. Evidently the chip used has a muting circuit which blocks spurious noises while tuning between FM stations, but that muting was acting like an aggressive audio compressor and was causing the surges in volume. By defeating the muting, the surging volume issue was resolved, although there are now some spurious noises between FM stations as you tune. This has no effect on the final performance…it is only an anomaly while actually tuning and I prefer the unit in this configuration rather than with the muting. Conclusion: I tested the FM to AM Converter on several AM radios in addition to the Zenith Trans-oceanic and the results were equally good with all of them. Just remember that this is purposely a no-frills design – if you can live with its personality it does a job which would otherwise require a separate FM tuner and AM transmitter to achieve. With that caveat in mind I can recommend the Cuthbert FM to AM Converter for anyone who wants to hear more on their AM radios. If you want a more deluxe unit with an FM frequency display Sean offers that as well at a higher price. Here is Sean’s eBay list…it changes frequently so keep checking. The various items he sells come and go from time to time so watch for a while if you don’t see a particular item listed. You can also contact Sean directly from any of his auctions to see when an item will be available.